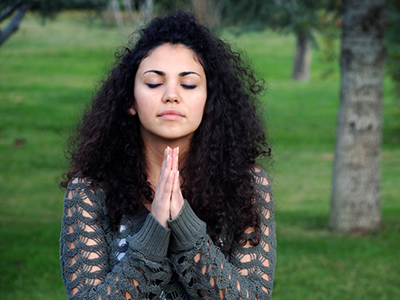 One of the best prayers that we could ever pray is “God, not my will, but Your will be done.” If you will stay open to His direction, and follow your heart, from Become a Better You: 7 Keys to Improving Your Life Every Day, God will protect you. Maybe God is answering your prayers; He’s simply saying no. Or maybe He’s saying it’s not the right time. Or maybe He’s saying, “I’m not going to remove that obstacle until you change your attitude and quit complaining about it.” Make some simple adjustments, and you will see things begin to improve. I thank God that He didn’t answer some of my prayers, because sometimes what I thought was the best for me wasn’t the best at all. Nevertheless, if you push and manipulate, trying to make things happen, God will sometimes let you have your way — and you will have to learn His lessons the hard way. I’ve seen people jump into a relationship or a business deal that they didn’t feel good about, but they wanted it so badly. God is a gentleman. If you insist, He will back off and let you do things your way. Most of the time when we do that, though, we end up settling for second best. If events are not happening as quickly as you would like, or if you are not seeing circumstances change in your favor, open your grip on the situation; relax and learn to trust God. Know this: God is on your side. He is not trying to hold you back. Nobody wants you to fulfill your destiny more than Almighty God. Nobody wants you to see your dreams come to pass any more than He does. He put the dream in your heart in the first place. Let Him lead you and guide you. Not long ago, some of our staff members and I were flying to another city aboard a small airplane. The aircraft had only one seat on each side of the aisle. After we took off, I wanted to get my tray table out so I could make some notes. The tray table on this particular plane came right out of the side, beneath my window. There was a little sign that said “pull,” so I pulled, but I couldn’t get it open. It was stuck. My friend Johnny was sitting across the aisle, so I looked over at his tray table, which he had pulled out with ease, and his window looked exactly like mine. I went back to work, trying to extricate my table, yanking on it even harder. I thought, I’m going to get this tray table out if it’s the last thing I ever do! I said, “Dear God, thank you for not letting me have my way. Thank you for not opening up that door.” Thank goodness the people who designed that plane knew there’d be people like me on board. They put a latch up top, where you had to use both hands to open the emergency door. Otherwise, pulling that latch may indeed have been one of the last things that I ever did! Thank God, He knows what’s best for us. Thank God that He’s merciful and He doesn’t always give us our way. I’ve learned that when my prayers aren’t being answered, or when things aren’t happening as fast as I would like, that either means that God is protecting me from danger up ahead, it’s not the right time, or God has something better in store. The first year I went away to college, I applied for a job at the university television studio. The school owned a large, well-known production facility, and I’d always wanted to be a part of it. Television production was my passion. The first week of school, I met with the production manager in charge of all the cameramen and hiring all the assistants. At that point, I had several years of camera experience under my belt. In retrospect, I now realize that if I had taken that position, I probably would not have returned to Lakewood Church to start a television outreach. I know my personality. I would have been so caught up in the excitement and I would have loved it so much, I’m sure I just would have stayed right there at the university TV station. But God knows what’s best for us. Although that job looked great to me at the time, I didn’t know where God was taking me. I didn’t know what He had in store. Had I remained there, I would have missed what God wanted me to do at Lakewood, and you would probably not be reading this book. Too often, we’re shortsighted. We can see only a little ways down the road, and even that we see through a glass dimly. God, though, can see the big picture. He knows when something is going to be a dead end. He knows when someone is going to be a distraction that will hinder us from our destiny. Some of the things you may be frustrated about right now, ten years from now you will look back at and thank God for not answering that prayer the way you wanted or for not opening up that door. You may not be able to see it right now, but that’s what faith is all about. Why don’t you trust God? Believe that He has you in the palm of His hand and know that when it comes time for God to open a door, no man can keep it shut. No obstacle is too high. Your enemies may be powerful, but our God is all-powerful. When God says it’s time to promote you, you are going to be promoted. The good news is that your promotion will not be one second late. Suddenly, God can turn any situation around. Suddenly, God can cause a door to open. All it takes is one touch of God’s favor. Find more daily readings in BECOMING A BETTER YOU by Joel Osteen. Want to enjoy more of what life has to offer? 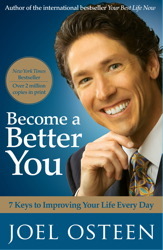 In the #1 New York Times bestseller Become a Better You: 7 Keys to Improving Your Life Every Day, Joel Osteen, pastor of America’s largest church, will inspire and motivate you to live with more joy, hope, and peace. Joel Osteen is the senior pastor of Lakewood Church, listed by several sources as America's largest and fastest-growing congregation, in Houston, Texas. 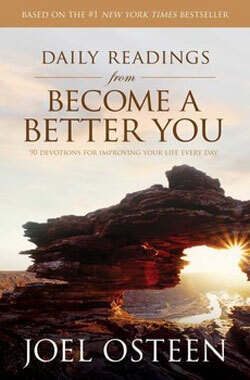 Additionally, he is the author of numerous journals, devotionals, and #1 best-selling books. He resides in Houston with his wife, Victoria, and their children.